Supported employment refers to a process whereby people traditionally denied career opportunities –due to the perceived severity of their disabilities– are provided jobs alongside co-workers without disabilities, and given long-term, on-going support on the job for as long as needed (Federal Register, 1984). Successful supported employment requires a sustained investment by forming new alliances with people with disabilities, investing in employers and the community, and putting greater control of resources in the hands of people with disabilities (Mank, 1994). A work/study program provides an important step in this process by assisting students to make smoother transitions from high school to adult life. This allows them a better chance of becoming employed, and meeting personal long-range goals. Bloomington North and South High Schools have developed work/study and supported-employment programs for adolescents with mild and severe disabilities. The program is completely community-based. All of the students in the program are working, learning to access the bus system, and volunteering, or receiving pay for their work. Some students work for one hour, while others work the entire day. Work/Study is considered an elective for credit at the high schools; one credit is allotted per period. If a student works eight periods a day, then eight credits are given for the semester. All of the students begin working for one hour, and gradually increase their time to a full day, when appropriate. Setting up the work/study program takes enormous effort by the staff member in charge of the program. Most of the time spent talking with prospective employers is during the teacher’s “off time” during the summer or on the weekends. The best approach has been to contact the manager of the business, making an appointment to discuss expectations, the role of a job coach, and student evaluations. The employer is expected to treat the individual with the disability the same as the other employees. There are no limits to what types of businesses are contacted. For instance, Nancy Kalina has contacted companies such as Bob Evan, Royal Chevrolet, Indiana University golf course, and Circle-Prosco Factory, to name a few. Some of the students’ jobs are at school, as well. One student at Bloomington North High School has a paper route and is expected to deliver 150 newspapers everyday. He is given information about the classroom number, the teacher’s name, and the amount of papers to distribute to each room. Often peer tutors are used as job coaches within the building. When a student enrolls at Bloomington North High School, Nancy Kalina talks with individual students for about an hour to learn what he/she feels are their abilities, strengths (e.g., memorizing information, cleaning at home) and their interests (e.g., bowling, playing pool, being with family) rather than dwelling on their disability. Then a list of possible jobs is generated that the student might be interested in. The list might look like this: library, factory, fast food, bowling alley, recycle, data entry, video store, grocery store, and movie theatre. The jobs are categorized by the student as “like it” or “its okay but it’s not great”. One job is circled as the person’s first choice. Nancy analyzes the student’s current individualized education program (IEP) and individualized transition program (ITP) to identify what type of supports will be needed on the job. If the student is younger, like a freshman or sophomore, the job is typically on a volunteer basis. If the student is a junior or senior, then the job might start off as unpaid, and work towards a paid position. Nancy goes to the job with the student the first few times. A job coach might be assigned as the student is learning the job. Strategies that have proven successful in supporting the student in school will be used to support them on the job. These supports might include social stories, visual supports, work systems, and a written list of expectations. In addition, job coaches receive systematic training from the special-education teacher on how to break a task into smaller steps (task-analyze) to enable the student to achieve success from the first day on the job. It is essential the job coach is able to take the initiative to teach each step on the job and to be able to train other co-workers to provide support for the student with disabilities. As the student learns the job, the goal is to fade support, especially in a paid position; although, there are times when the job coach cannot be faded due to the student’s needs. One of the challenges is that students often want to change jobs. Therefore, at North High School, everyone is required to sign a work agreement to state that they will stay on a specified job for a complete semester. The agreement includes the starting and ending date, initial training provided, type of transportation, schedule of hours and days of work. This agreement is signed by the trainee, parent/guardian, vocational instructor and the established supervisor at the job site. Each student and family member must have a discussion on the expected goals and supports to sustain employment (Wehman, et.al, 1999). If an individual’s interests change, then he/she must make an appointment to talk with the Work/Study Coordinator to discuss why, and the importance of the work agreement. If allowed to quit, they are taught how to quit appropriately. Students are also taught how to call in sick, and the importance of attendance policies at the work site. Both of the high school programs teach students in their programs how to access the bus system in the community. In Bloomington, Indiana there are several options. Indiana University has its own bus service. It runs Monday thru Saturday. Another service is Bloomington Transit Access which has vans that are wheelchair accessible if a person qualifies and lives within the city limits. Rural Transit is a bus service for individuals that live outside of the city limits, but within Monroe County. This transit system received a grant that allowed individuals with disabilities going to their place of employment only a $1.50 charge one way. At Monroe County Community Schools, job coaches are offered liability insurance which allows the paraprofessional/job coaches and staff members to take individuals to their work sites. It is imperative to explore the different modes of transportation in your area for individuals to be transported to the employment independently. The last resort should be on a school bus. There are many factors that contribute to a student’s success in supported employment, including a) a supportive family, b) a well trained work/study coordinator, c) arrangement of the appropriate work supports, and d) the opportunity to develop work competencies at the job site (Wehman, et.al, 1999). After all, work experiences can help individuals to become contributing members of the community, possibly join a social group, and enhance communication skills (Kalina, 1999). DeFur, S. H. & Patton, J.R. (2000). Transition and school-based services: Interdisciplinary perspectives for enhancing the transition process. Focus on Autism and Other Developmental Disabilities, 15(3), 188-189. Developmental Disabilities Act of 1984. Federal Register. Report 98-1074, Section 102 (11) (F) (1984). Dubie, M. (2007). 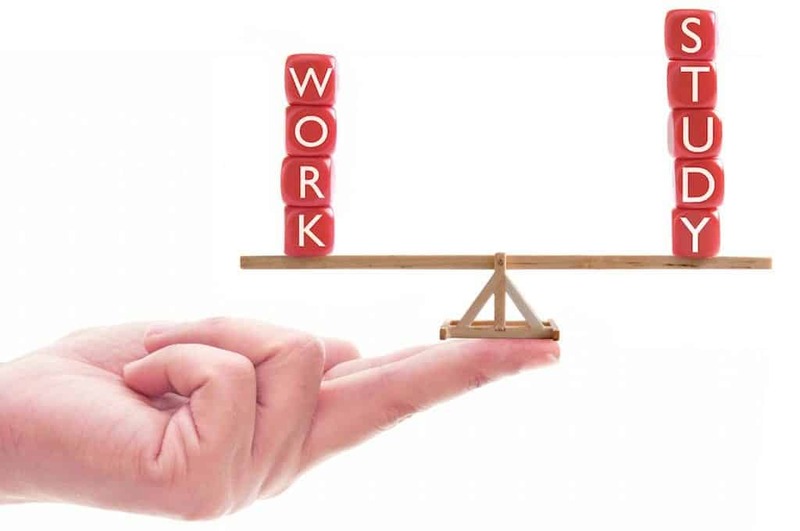 Work study and supported employment: One school district’s approach. The Reporter 12(1), 14-15. Kalina, N. (1999). Rob’s long but successful road to employment. The Reporter, 4(3), 12-14. Keel, J.H., Mesibov, G.B., and Woods, A.V., (1997). TEACCH-supported employment program. Journal of Autism and Developmental Disorders, 27 (1) 3-9. Mank, D., (1994). The underachievement of supported employment: A call for reinvestment. Journal of Disability Policy Studies, 5, 1-24. Wehman, P., Gibson, K., Brooke, V., and Unger, D., (1999). Transition from school to competitive employment: Illustrations of competence for two young women with severe mental retardation. Focus on Autism and Other Developmental Disabilities, 13 (3) 130-143.